Today I arrived in Walla Walla for my sophomore year of attendance at the Wine Bloggers Conference, a yearly gathering of hundreds of writers from all over the globe. This year’s focus is on the wines of Washington state, and up-and-coming wine region that’s giving the big boys in Napa and Sonoma a run for their money. The official wine tourism board calls the region “the New Epicenter of Wine,” which is more than fitting. Washington state currently has 14 AVAs (American Viticultural Areas), which are geographical grape growing regions in the U.S. There are a whopping 940 wineries in the state (and growing! ), making Washington rank as the 2nd larest wine producer in the country. Nearly 70 varietals are produced, with a ratio of 64% red to 36% white. The top red varietals are Cabernet Sauvignon, Merlot, Syrah, Cabernet Franc, and Malbec, while the most popular to grow whites are Riesling, Chardonnay, Pinot Gris, and Sauvignon Blanc. Less popular wines like Viognier, Semillon, Chenin Blanc, and Petit Verdot also thrive in the region. Matched only by its popularity, the growth of Washington’s wine region has some staggering facts and figures. In 1981, there were just 19 wineries. By 2002, that number had increased to 208 wineries. Now the state boasts close to 1,000! The same can be said for the wine production growth, which has skyrocketed from 17,000 tons in 1985 to 229,000 tons in 2017. 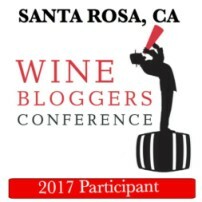 We are looking forward to learning more about the wines of the region and will be sharing more updates from the Wine Bloggers Conference this weekend.